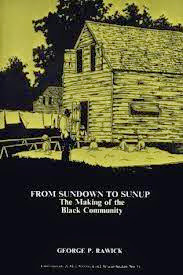 George Rawick's From Sundown to Sunup is by far the most successful recent book about slave culture. . . . As impressive as Rawick's analysis of slave life is his interpretation of American racism.